Right livelihood is one of the factors of the Noble Eightfold Path that is talked about least. We discuss other factors with more frequency and don’t take a deep look at right livelihood. Money is an important part of our society. In general, we need it to live, to eat, and to take care of ourselves. Because of the importance of money in our world, our relationship to it has aspects of power, identity, and security/safety. One of the things we can do is investigate our relationship with earning money. Do we earn money in a wholesome way? And what is wholesome, or right, livelihood anyway? A lay follower should not engage in five types of business. Which five? Business in weapons, business in human beings, business in meat, business in intoxicants, and business in poison. When we look at these forms of earning money, we can see why they may not be wise. Business in weapons, humans, meat, intoxicants, and poisons often cause harm to others. Although this instruction is fairly straightforward and pragmatic, we can use it as a jumping off point to investigate what right livelihood really is. 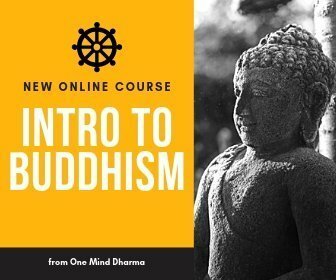 In my opinion, the Buddha’s most basic point is that we should not cause harm in our livelihood. Specifically, we should observe the precepts with our work. This is to say that we must practice the Middle Way with our earning of income. We must earn enough to live, but we must be diligent in our awareness of the arising of greed. Do we work too much? Sometimes we can earn a living and be comfortable without overworking or neglecting those around us. Sometimes we need to work hard and long hours in order to support ourselves or our families. This is a practice to investigate for ourselves. The point of practice here is to look at how much we work, and where we have clinging related to income. And what is wrong livelihood? Scheming, persuading, hinting, belittling, & pursuing gain with gain. This is an important piece. Even if we are working in an industry in which we are creating happiness in others, we must be careful in how we go about our business. Part of my personal business involves sales. Selling something mindfully and with wisdom is a continual practice to which this sutta speaks. I essentially take this instruction to be a reminder of integrity in work. I can build my business, bring clients in, and generate income without “scheming” or “persuading” in an unwise way. Personally, I feel confident in my practice of Right livelihood. All of my income comes from wholesome activities, and I’m able to support myself and my wife who is a full time student. I work quite a bit, but have the time to spend energy with her and my life. 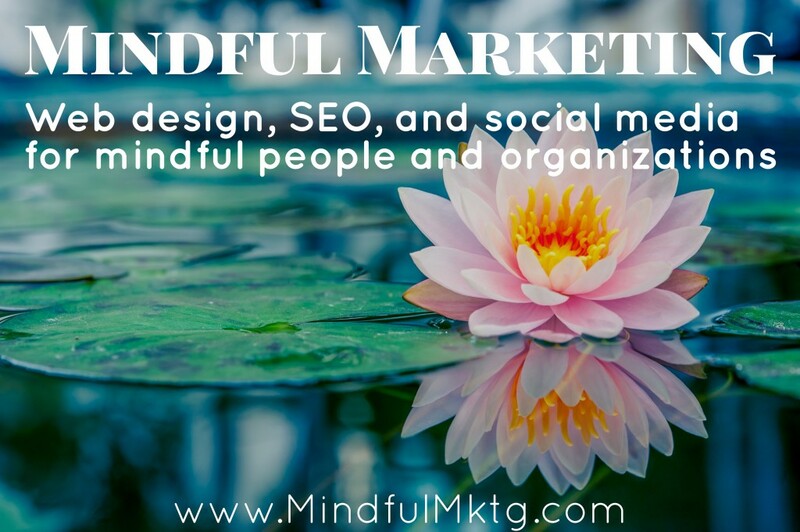 I own and am the project manager at Mindful Marketing, a boutique marketing firm that specializes in online marketing. We build websites, do search engine optimization, manage social media accounts, and strategize with individuals and companies to help grow their businesses. My favorite part is that we only work with clients who we believe are truly lessening the suffering in the world. We work with yoga studios, meditation teachers, therapists, addiction treatment centers, etc. For me, this is incredibly wholesome. I have worked for many marketing companies in which we worked with whoever paid us. My goal with Mindful Marketing is to use my skills and knowledge to help people extend their reach in helping others. I enjoy seeing our clients succeed and help others. Because it is my business, I have the ability to set my hours and figure out what works for me. The struggle with right livelihood has come more around the amount of hours I work than the nature of my work itself. I have the tendency to work longer than I need to, work at times when my wife and I are supposed to be spending time together, and cling to income as a sense of identity. I meet these thoughts with awareness and compassion, tuning into the effect of my work on myself and others. 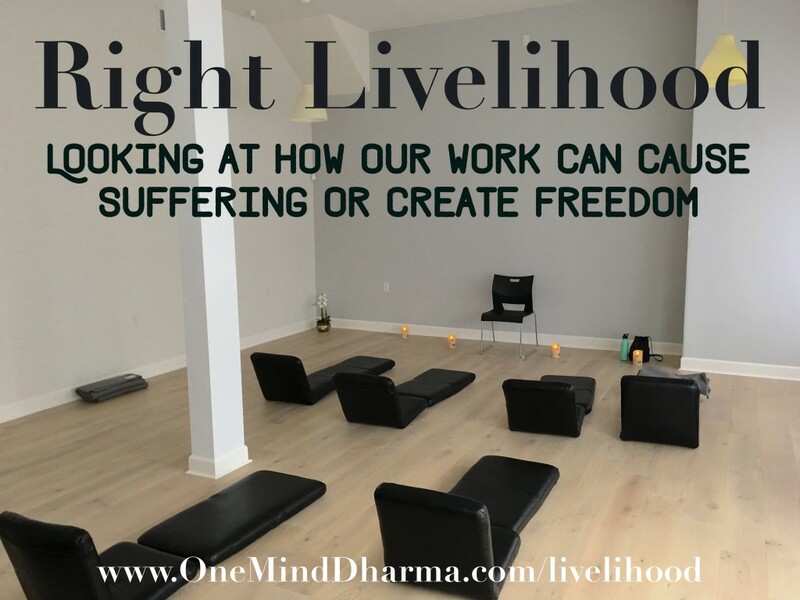 What Does Right Livelihood Mean for You? Like all of the Buddha’s teachings, this isn’t something to just be taken at face value. Yes, we should steer clear of the obvious ways of earning unwise livelihood. However, we also must really investigate for ourselves. You may start by looking at the nature of your livelihood. Does your work cause suffering? Are you causing harm to yourself or to others with what you do? If you sell guns, it is possible that your guns may never be used to kill someone. But it also is possible the the gun could be used to kill someone or an animal, that the gun could cultivate violence in its owner, etc. Of course you cannot control what people do with something. Somebody could strangle somebody else with one of the malas we sell! We can look at the nature of what we do for work and see if we can get in touch with the harm or freedom toward which we are contributing. Then, we can look at this piece of effort in relation to right livelihood. 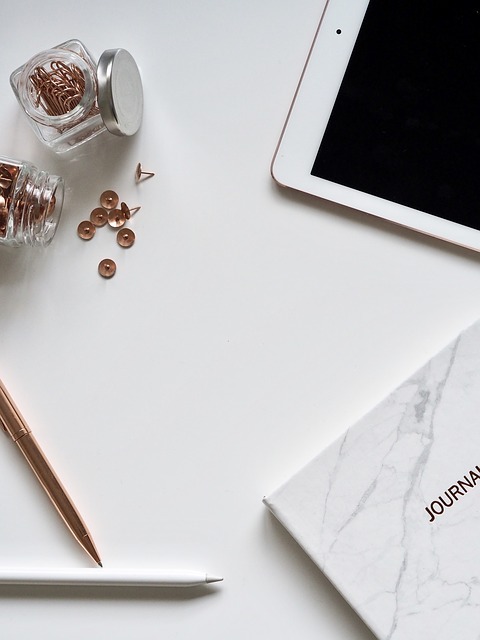 How much effort are we putting into our work? Is it enough? Too much? We can work in a way that is healthy, contributes to our security and wellbeing, and allows us to be present for other aspects of our lives. You can investigate your relationship to money. Do you really need to be earning more? We live in a time, especially in the West, where we think more is better. If you earn enough to save, live comfortably, and provide for yourself and a family, do you really need to work harder and earn more? When is enough enough? Finally, investigate HOW you work, and if you’re practicing mindfulness at work. When you are on the clock, give your full attention. Watch the ways in which you procrastinate, don’t get the job done, or are performing under par. You may also tune in to the arising and passing of greed in your work and how it manifests. Are your sales tactics skillful and honest? Do you tell the truth to your coworkers, boss, employees, and/or clients? To recap, there are really three places in which we can start looking at right livelihood: the nature of our business, the effort we put forth, and how we conduct ourselves in the workplace. This is just a jumping off point. We may discover quite a bit about the identities we are creating, our relationship with money, or how we can bring our practice to a new place in our lives. I highly recommend visiting Access to Insight’s page on Right Livelihood to read a few more suttas about the topic. Enter your email to get a dharma talk on Right Livelihood and receive future blog updates!